As the biggest tech conference in the world, CES attracts the most prominent names in the tech industry. 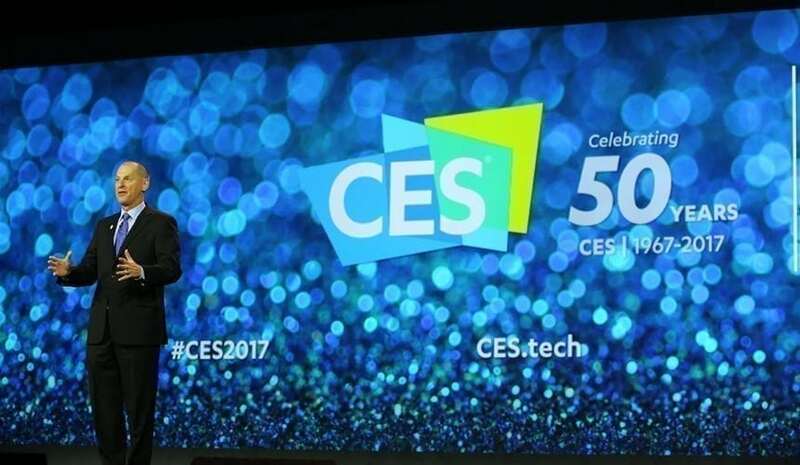 Featuring sports legends, celebrities, and high-profile executives, CES 2018 will showcase many distinguished guests and speakers. But, with so many people in attendance, it can be hard to keep track of them all. That’s why we’re breaking down some of the biggest names that will be at CES and the events you can see them at. Ever wonder who’s in charge of putting on the overwhelming event that is CES? Allow me to introduce you to Gary Shapiro, President, and CEO of the Consumer Technology Association (CTA), which owns and produces CES. He directs a staff of over 160 employees and thousands of volunteers to promote innovation in our world. He’s authored best-selling books such as Ninja Innovation: The Ten Killer Strategies of the World’s Most Successful Businesses and The Comeback: How Innovation Will Restore the American Dream. See his keynote speech on January 9th at 8:30 am in the Palazzo Ballroom at the Venetian. Coming on stage just after Shapiro at 9 am, Jim Hackett, President, and CEO of Ford Motor Company will deliver his keynote speech for the week. In March 2016, Hackett was named the chairman of Ford Smart Mobility LLC, a subsidiary that was formed to accelerate the company’s plans to grow and invest in emerging mobility services. As the automobile industry continues to shift towards electric and autonomous vehicles, hopefully he’ll have something to say about the future of the industry as we look forward. Finally, wrapping up the Tuesday keynote session is Qi Lu, Vice Chairman, Group President, and COO of Baidu. If you haven’t heard of Baidu, they are definitely a company that should be on everyone’s radar. A China-based company founded in 2000, Baidu is similar to Google in a lot of ways. At face value, it’s a search engine. But it’s also a world leader in A.I. technologies. Given that, Qi Lu will likely have some notable things to say about the future of internet technology and artificial intelligence. If you’re a fan of the The Walking Dead, you’re not going to want to miss Norman Reedus at CES 2018. Reedus, who plays the iconic Daryl Dixon, will join AMC Network President Charlie Collier and Walking Dead Executive Producer Scott Gimple for a roundtable discussion about the hit series. Taking place from 1:50 to 2:25, January 10th (Tech South, ARIA, Level 1, Bristlecone 4), this event is a must-see for big fans. The state of transportation in the U.S. is rapidly changing. Elon Musk is already building his Hyperloop rail system and Waymo is debuting their driverless cars. So, U.S. Secretary of Transportation Elaine L. Chao will be a fantastic addition to this year’s CES roundup. With so much happening in the realm of transportation, she’ll have plenty to discuss as we look towards the future of transportation and how it will all be regulated. You can find her at 10:30 am on January 10 (Tech East, Westgate, Level 1, Pavilion 9). It seems like artificial intelligence gets more sophisticated every day. And IBM’s Watson is one of the leaders at the helm of the A.I. revolution. With this new and mysterious technology comes questions and concerns, many of which will likely be addressed by Beth Smith, GM of IBM Watson, at CES 2018. As GM, she leads the teams who engineer the Watson platform and its emerging solutions. Her conference session, “Turning AI into New Ways of Doing Business,” takes place from 2-3pm on January 10 (Tech East, LVCC, North Hall, N257) and will likely be very informative. Known for his successful career as both an NBA player and now an analyst, Shaquille O’Neal will be making an appearance at CES 2018, but not for the reason you may think. His presence will actually have a gaming focus, as he will participate in a live Street Fighter V competition against actress and professional wrestler Natalie Eva Marie. The event takes place from 3:30-6pm on January 10 (Tech West, Sands, Hall D, 45222) and is sure to be one of the most high-octane experiences of the event. The streaming competition is fierce. With Netflix, Hulu, and Amazon all in the race, it’s unclear who will come out on top. However, Randy Freer, CEO of Hulu, may be able to clear up the future of streaming. Freer will join John Martin, CEO of Turner, on a panel to discuss the future of television. The Hulu CEO is a veteran in the television industry, previously working as President and COO of Fox Networks Group. You’ll be able to hear his thoughts on the future of the industry from 3-4pm on January 10 (Tech South, Monte Carlo, Park Theater).